Please test the functionality of this item before installation. ● This Alcatel OT-6040D screen replacement is Black and without any logo on it. Please note. 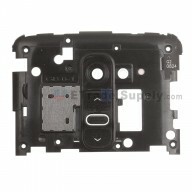 ● This Alcatel One Touch 6040D LCD assembly is 100% OEM manufactured and assembled. ● This Alcatel One Touch Idol X replacement screen does NOT include the front frame,please do not confuse it with the item of 6040D LCD Assembly with front housing. ● The Idol X OT-6040A is for Single SIM version and the OT-6040D is for Dual SIM version. This Alcatel One Touch Idol X replacement screen is compatible with both two versions. ● These parts are hermetically attached. Special tooling and skills are required for replacing this Alcatel One Touch Idol X OT-6040D LCD screen assembly. 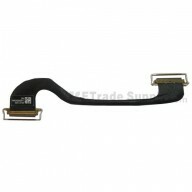 ● The flex cable of this Alcatel OT-6040D screen replacement is fragile and easily damaged. Please handle carefully during replacement. ● The installation of the Alcatel One Touch 6040D digitizer assembly should be done by a qualified person. ETS is not responsible for any damage caused during installation.